Small omni-directional clip-on microphone for speech and vocal applications. High speech intelligibility. Easy attachment on clothing. 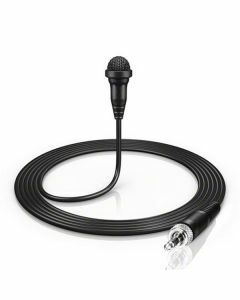 The ME 2-II is an omni-directional clip-on microphone that is optimised for speech and vocal applications. The most noteworthy feature of the updated ME 2-II is its full compatibility with digital RF transmission systems. The updated model also features an improved clip, lighter-weight plastic housing with integrated windscreen, and a smoother frequency response in the critical speech region.